Hong Kong is in a unique position amongst the People's Republic of China, as one of the world's leading centres of commerce and free trade. This highly developed area, is one of the most densely populated areas in the world. And, is also home to an astounding number of corporations, banks, and other business ventures. Despite the densely packed population, Hong Kong boasts both one of the highest incomes per capita, and is also home to one of the best educated populaces in the world. As a you might imagine for a city with over 7,000,000 people, there is an immense amount of things to do and see here. Limousine Hong Kong is here to offer you a unique and exciting way to get around the city, in a luxurious style and comfort that is befitting of the great reputation of Hong Kong. A limousine company in this city has to do everything better to remain ahead of the curve. Limousine Hong Kong understands this, and offers a great selection of luxury and convenience vehicles which can serve veritably any purpose for what you'll need here. We are a company which caters to both the residents of this beautiful area, as well as offering a range of friendly services for the many many guests that come here to visit every day. Whether you are a longtime resident or a temporary visitor, allow us to show you a new side of the city that you have never seen before. Let our chauffeurs take you on a tour through the best that our area has to offer. 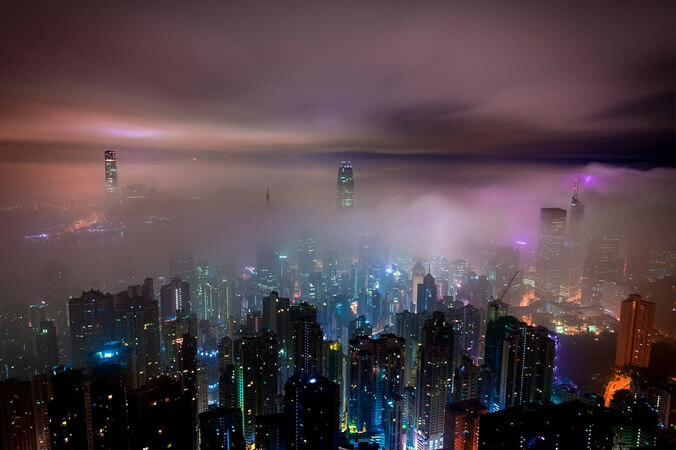 Experience a side of Hong Kong that few have ever seen, and allow us to be the ones to give that to you! Many of our customers are corporate clients who are attending business events in and around the city centre. The perks of our travel are not just good for evenings of celebratory dinners and other parties — they are ideally suited for our business travelers and we hope you'll consider us for those needs. Being able to travel with your coworkers or clients means that you can get more business done while in traffic, and when you are on your way to those early morning meetings, you can enjoy some coffee and snacks from our built-in bar if you choose to stock it that way, or if you're going to a late-night dinner meeting, you might want to have cocktails on board instead! If you are in fact having a personal party rather than a business event, we're here for you too. Our vehicles are impressive and so much fun to travel in. If you'd like to pay a visit to some of the most wonderful bars and restaurants that the city has to offer, there's no better way to do it than in one of our limos. We can head out with all of your friends, picking them up at their homes or places of business, and visit every stop on your itinerary while you enjoy the ride. Try the food and drinks at all of your destinations while enjoying whatever you have stocked the bar with. It really is the very best way to travel! Finally, if you're celebrating something truly memorable like your wedding day, allow us to show you how perfect that special day really can be. We've got some really gorgeous vehicles that are worthy of your attention as you tie the knot. Comfortable for you as you travel in your bride and groom attire, outfitted with exciting features to entertain and keep you cozy. We offer wedding packages too, complete with decorations and champagne for your enjoyment. Celebrate with some bubbly and live it up with your mate in our charming vehicles! Our service range from luxury stretch limousine rentals, airport transportation services, and we also offer guided photo tours of the cityscape. You'll find that no matter what you call upon us to do, we will do it with expert efficiency, class, and assurance of safety. Our prices are reasonable, and our services are second to none! Please view the pages of our site and find out more about our company, services, and vehicles! Whether you need us for personal or business reasons, and no matter where you are headed, we will always be here for you to make your outings even more memorable. Make a big impression on your guests and choose us for all of your travel needs when in Hong Kong. We've got everything you need, from a smart office staff who knows how to plan that once in a lifetime trip, to the ideal chauffeurs who know all the hotspots in town! Call us today! Pricing for luxurious transportation is often difficult to justify. To that end, Limousine Hong Kong's pricing tends to be the fairest of any of our competitors. Our goal is to provide you with the highest end transport possible, and at a price that will still allow you to enjoy all of the finer points of this great area! Hong Kong is just too great to miss anything, so we do our best to fit into the budget of anyone who wishes to enlist our services. We've hosted groups of people wishing to experience the culture of this great region for the Birthday of Tin Hau, The Cheung Chau Bun Festival, the Birthday of Buddha, the Birthday of Tam Kung and more! If you want avoid the mass of people in Hong Kong's public transit system, and wish to circumvent the frustration of driving in traffic, we offer fine solutions for you and your group going to any of these events and more! We are very often contacted to accommodate the transportation of the many weddings held here in Hong Kong. This allows the couple to avoid the stress and strain of worrying about anything related to the transportation to or from the wedding. We can even offer shuttle services to help your guests arrive in a timely fashion. Having such a great number of people co-existing in one area, brings a great many musicians and patrons of the arts into the area. There are concerts, festivals, and fairs dedicated to the finer beauties in life that is known as arts and music. If you require assistance in travelling to any of these great events, be sure to contact us in order to secure your transportation ahead of time. With us, all you'll need to worry about... is having a great time! Copyright © 2019 | www.limousinehongkong.com | All Rights Reserved.